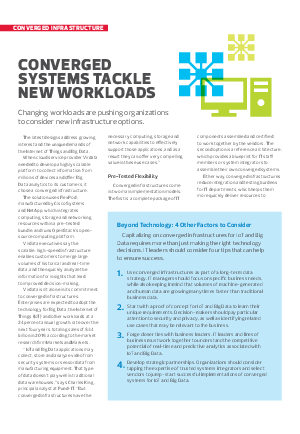 Changing workloads are pushing organizations to consider new infrastructure options. The latest designs address growing interest and the unique demands of the Internet of Things and Big Data. When cloud service provider Virdata needed to develop a highly scalable platform to collect information from millions of devices and offer Big Data analytics to its customers, it chose a converged infrastructure. Download this white paper to learn more!